Bangalore is one of the most loved cities in India. It is enterprising and has developed a lot in the past decade. It is fondly called the Silicon Valley of India, owing to the number of software startups and corporate giants setting their offices here. Bangalore has quite literally become the IT hub of India. Earlier, it was known as the Garden City of India, because of the blessed number of trees peppering every lane. Bangalore balances old and new culture well enough. While still maintaining its original culture, it has well adapted to the new age culture of malls, coffee shops, global restaurants and pubs. Bangalore is endowed with great weather throughout the year. When the rest of the country is cribbing about the heat, Bangaloreans are usually uploading rain photos on Instagram and Facebook. While Kannada is the official language, Bangalore is very adaptive and mostly everyone can speak English and Hindi. Malur is a town in Kolar district of Karnataka, which is 48 km away from the city of Bangalore. And this place would serve as an ideal getaway spot for the weekend from Bangalore. Earlier, it was called Malligepura, because jasmine flowers were grown in abundance here, which is still being continued. Malur is bordered by Hosur (Tamil Nadu) and Kuppam (Andhra Pradesh), therefore, in addition to Kannada, Telugu and Tamil are spoken here. Malur is mainly an agrarian community. It is also known for its tile and brick industry. These tiles and bricks are exported to Chennai and Bangalore. There are many established and well-known factories in Malur like Honda Motorcycle Limited, Mahindra Aerospace, Medinova, etc., thereby offering vast employment opportunities to the natives of Malur. Malur enjoys great weather too, since it is closer to Bangalore. Some summers can be unbearable with temperatures touching 35 degrees Celsius. Winters and monsoons are pleasant. Malur can be visited throughout the year. By Air: The Kempe Gowda International airport in Bangalore is the closest airport to Malur. It is at a distance of 32 km from Malur. By Train: There are 19 trains that run from Bangalore to Malur, two of them being superfast trains. The average time taken to reach from Bangalore to Malur is 1 hour and a few minutes, depending on the train speed. By Road: There are 3 routes to reach Malur from Bangalore by road. Route 1: Bangalore - Krishnarajapura - Hoskote - Malur; via NH 75 and Malur Byranahalli road. This takes 1 h 45 min to reach and covers a distance of 45 km. Route 2: Bangalore - Marathahalli - Whitefield - Madanahalli - Malur; via HAL Old Airport Road. This is around 47 km and takes about 2 hours to reach. Route 3: Bangalore - Carmelaram - Chikka Tirupati - Malur; via Bangalore-Malur road. This takes 2 hours to reach and covers a distance of 53 km. Route 1 is shorter than routes 2 and 3. It also has better roads, therefore travelling on Route 1 is suggested. You can start Bangalore darshan by having a hearty breakfast at a local Darshini joint in the city. Have a quintessential Bangalore breakfast of either masala dosa, kesari bhath, khara bhath, idlies or vade, washed down with a strong cup of filter coffee. Bangalore has the best filter coffee in India. You can start your day from M G Road and Commercial Street for an amazing street shopping experience. This is on your way to Malur. Commercial street, especially, has a great variety of silver jewelery and Indian ethnic clothes. Bangalore to Krishnarajapuram, aka KR Puram, is 13 km in distance and takes an hour to reach. Hoskote is next on the route, at 18 km. The fort area in Hoskote has some temples, namely, Avimukhteshwara temple, Varadaraja Temple, and Vithoba temple. The Kote Anjaneyaswamy temple in Hoskote, dedicated Lord Hanuman, is more than 800 years old. Malur can be reached in 41 minutes from Hoskote. Both these places are 20 km apart in distance. Masti Venkatesha Iyengar, the award winning writer, hails from Masti, a village in Malur. A village called Kodihalli in Malur taluk is known for its umpteen varieties of roses. Hulimangala village in Malur is famous for capsicum as well as rose. Roses and capsicum from here are exported to many regions in Karnataka and other nearby states. Chikkatirupati is a famous temple in Malur that is dedicated to Lord Venkateshwara. The architecture is similar to Tirupati Venkateshwara Temple. The temple is believed to be a few centuries old. An interesting snippet about this temple is that the Lord has his hands upwards, whereas in Tirupati, it is downwards. Balambika Temple is another important and famous temple in Malur. The presiding deity is Goddess Parvati, aka Rajarajeshwari. The temple was built in 2011 and follows the Dravidian style of architecture. 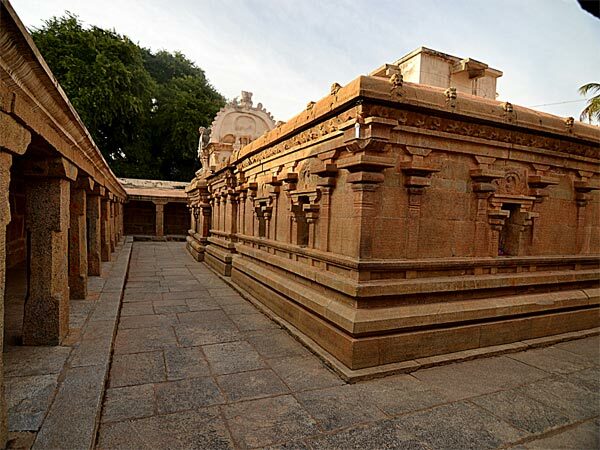 It is loosely inspired from the structure and architecture of Gangaikonda Cholapuram, Tanjore, Tamil Nadu. Kolaramma Temple, which is at a distance of around 25 km from Malur, is dedicated to Goddess Parvati. This L-shaped temple is built in the Dravida Vimana style of architecture.